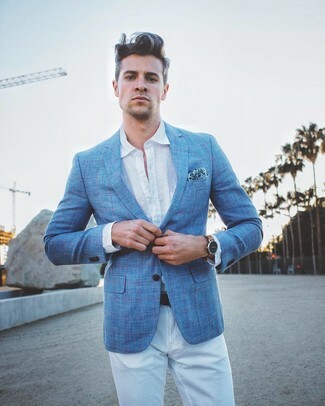 If you're on the hunt for a casual yet on-trend outfit, team a light blue plaid blazer with True Religion Ricky White Brick Jeans. Both garments are very comfortable and they will also look great when paired together. If you're hunting for a casual yet dapper getup, try teaming an olive crew-neck t-shirt with True Religion Ricky White Brick Jeans. These two garments are super comfy and will look amazing together. Bump up the cool of your ensemble by wearing brown suede tassel loafers. 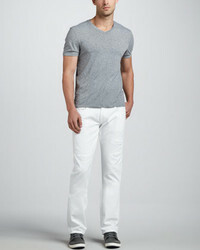 If you're scouting for a casual yet dapper ensemble, marry a light blue crew-neck t-shirt with True Religion white jeans. Both garments are very comfortable and they also look great when paired together. 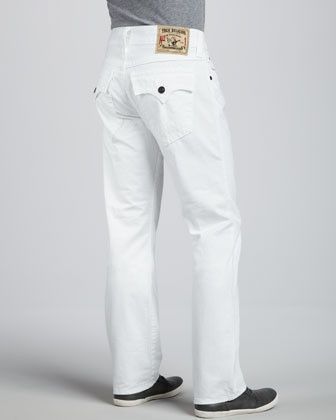 If you're on a mission for a casual yet dapper outfit, pair a grey raincoat with True Religion white jeans. As well as totally comfy, both items look fabulous paired together. 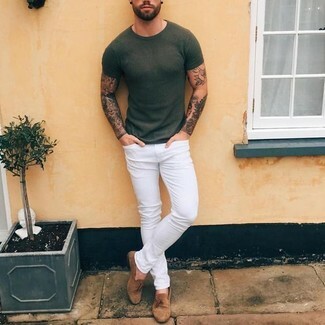 If you're all about relaxed dressing when it comes to fashion, you'll love this simple pairing of a white and black floral crew-neck t-shirt and True Religion ricky white brick jeans. Got bored with this look? Enter tobacco suede desert boots to switch things up. 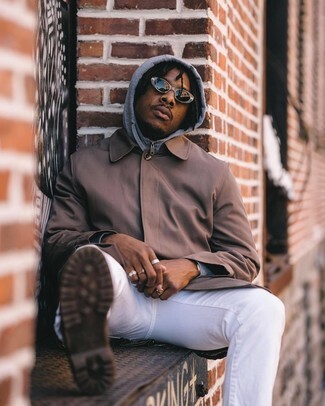 If you're scouting for a casual yet on-trend ensemble, rock a brown bomber jacket with white jeans. As well as totally comfortable, these two items look great paired together. 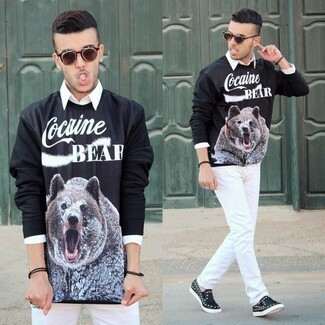 If you're scouting for a casual yet stylish outfit, wear a black print crew-neck sweater with white jeans. These two garments are super comfortable and look great together. A pair of black embellished leather low top sneakers fits right in here. If you're looking for a casual yet seriously stylish outfit, consider wearing a white and red and navy horizontal striped crew-neck sweater and True Religion Ricky White Brick Jeans from Neiman Marcus. Both of these items are very comfortable and look amazing together. 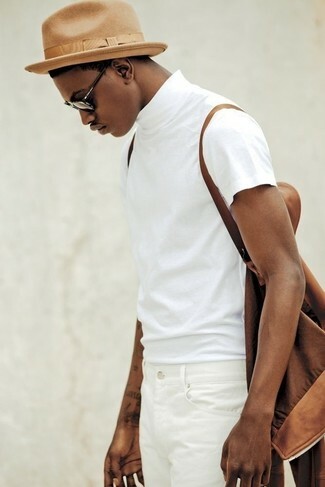 If you're on the hunt for a casual yet on-trend getup, choose a navy polo and white jeans. These two pieces are super comfortable and will look stunning when worn together.